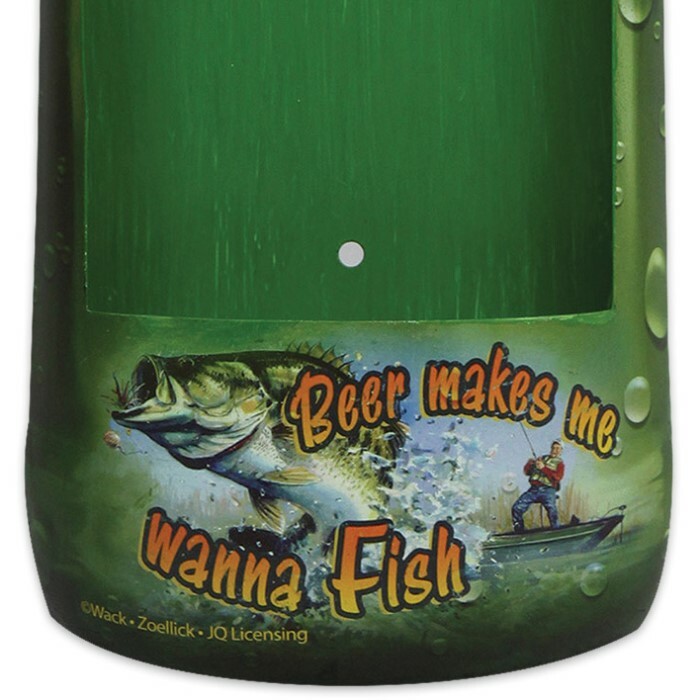 3-D Wall-Mounted Bottle Opener - Fishing Makes Me Thirsty - Tin Construction - Amusing Art and Text | BUDK.com - Knives & Swords At The Lowest Prices! 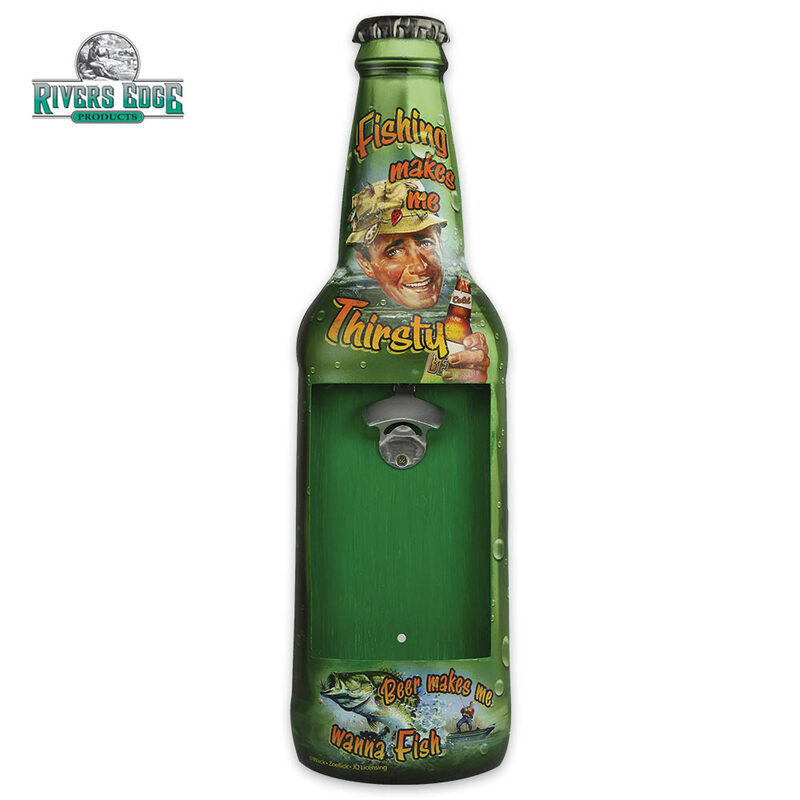 Class up your beverage consumption program with this unique, awesome-looking wall mounted bottle opener. 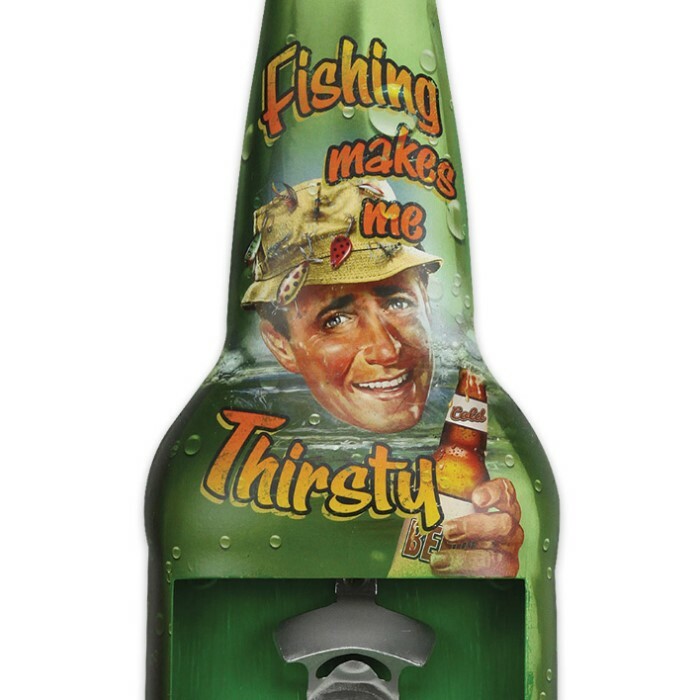 Made of tin and adorned with vibrantly colored, exquisitely detailed illustrations, this three dimensional, longneck bottle-shaped "practical art" piece features a heavy duty bottle opener just below the bottle neck. After you "pop the top," a cavity below catches the bottlecap for one-handed, no-mess bottle opening. You won't find a cooler, better designed wall-mounted bottle opener anywhere else, so stop wrestling with church keys, lighters and handheld bottle openers and trade up to this colorful wall-mounted, bottle-shaped bottle opener today!